This review will contain spoilers for the game. If you haven’t finished the game yet, I beg you to do so before you read this review. Long before your cousin started wearing Invader Zim t-shirts and watching The Crow on a loop, gothic fiction flourished. Even if you’re not familiar with the tropes of gothic literature, you’re probably familiar with some of the more famous works: Mary Shelley’s Frankenstein, Bram Stoker’s Dracula, and the entire library of Edgar Allen Poe. Tales of gothic fiction typically feature dark and brooding anti-heroes with daddy issues, girls who hang out in moldering castles, and the ghosts of dead relatives or love interests. Given these tropes, it may seem strange to examine the video game Her Story through the lens of gothic fiction, but a closer look at the game reveals its tortured gothy soul. 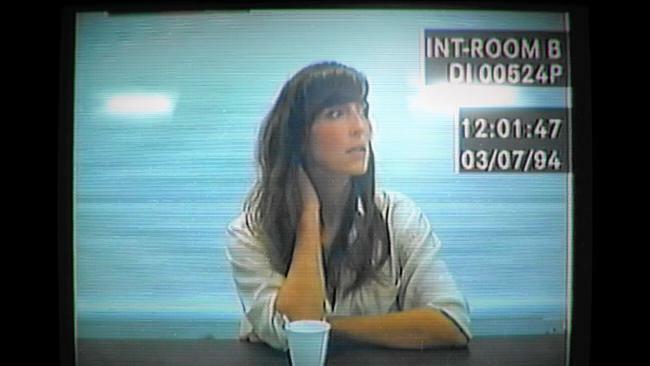 Her Story was released in June 2015 by developer Sam Barlow for PC, Mac, and iOS. Using keywords to sort through a set of videos, the player works to uncover the mystery of a murder in 1994 in the UK. 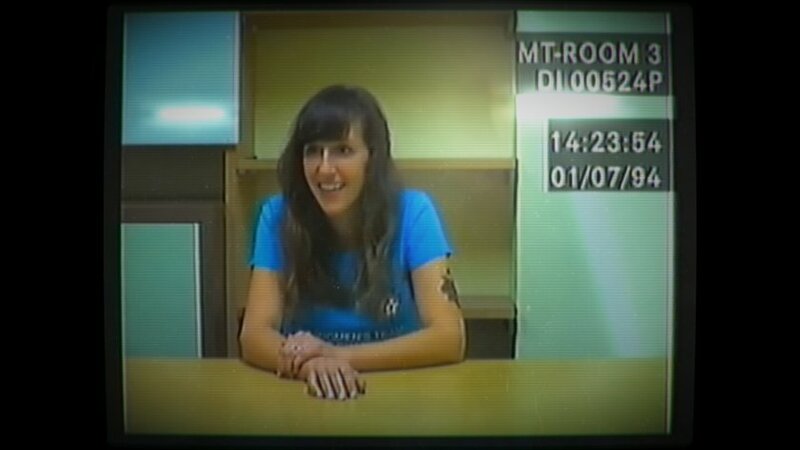 The videos are police interviews with a suspect played by Viva Seifert, who portrays the coy Hannah and the wild Eve. Their narrative weaves the complicated tale of Hannah and Simon, and Hannah and Eve, and the fucked up home life they all shared. For a game with no guns, the story manages to wrack up an impressive body count: poor Simon, Mum and Dad, a child stealing midwife, and an unborn child. All of this information comes across the backdrop of an ancient desktop screen with a clunky interface. Though the setting of the story doesn’t immediately scream gothic, the creepy atmosphere, bizarre cast of characters, heightened emotions and mysterious story definitely give Her Story gothic street cred. The flickering lights of the “room” the game takes place and the glimpses that the player gets of the playable character serve as set dressing for a story of murder and betrayal that seems like something out of a soap opera or a Bronte novel. Moreover, one of the more common forms a gothic work of fiction can take is an epistolary novel, where the story unfolds through letters, journals, or other written documents. While epistolary stories can give the reader a variety of points of view, the authors of the written documents will color their recollections of events with their own biases and opinions. Each video is a little love letter from Hannah (or Eve) to the player, pushing the story forward in starts and fits. Her story is the only story we have, yet its clear that Hannah and Eve are unreliable narrators. But if the player disbelieves the interviews, then there is no point to the game. We must press on, left to our own devices to sort through the both fantastic and the mundane details to get to the bottom of mystery of Simon’s murder. This game is obsessed with writing and storytelling and this permeates every part of its design. The girls are obsessed with fairy tales, and seem to see their own lives as a fictional tale rather than real life. This a game is not just obsessed with story, it focuses intensely on making the player aware of the process of constructing a narrative. The framing of the game as a research expedition is hammered home with the reveal that the playable character is the daughter of Eve, “Do you understand why your mother did what she did?” It places greater importance on the story the player has revealed, because the story has very real ramifications for the playable character. 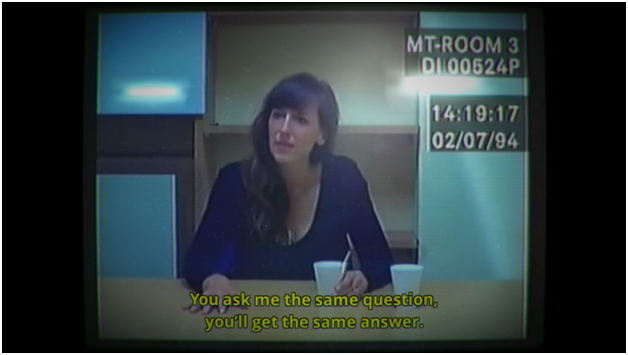 The epistolary nature of the game gives the player (and the playable character) insight into the minds of Hannah and Eve, but also highlights the gaps in the narrative the videos create. The interviews are truncated and out of order, revealing only what the characters said in response to questions the player can only guess at. These missives from Hannah and Eve serve as a dark reflection of how we construct stories ourselves. The stories that the main characters construct: the stories of their childhood, their relationship with their parents, their relationship with Simon, even their relationship with each other are destructive because they narrow in focus rather than broaden. The stories end in the death of these characters and the obliteration of the self because they cannot incorporate other characters and other ideas. The game offers Hannah and Eve a shot at redemption with the inclusion of Eve’s daughter. Though the story on the videos ends with Hannah leaving Eve, the story of the game ends with the open ended question: “Do you understand?” The story allows for the incorporation of a new character, and for the chance to construct a new narrative. How fitting then that the ending of Her Story has been surrounded by contention and controversy. Is Ms. Seifert playing two women, or one woman with disassociate identity disorder? The game’s creator has teased that he knows the answer, but that he won’t tell. And why would he? The game invites players to speculate and discuss what evidence is most compelling, and more importantly, draws them into the continuing story.